Australia were out of the VB series, New Zealand and South Africa made to the finals. It was the first of the 3 finals and New Zealand were batting first. Makhaya Ntini bowled with good pace to strike early in the innings. It was getting very hard for the Kiwis to face Ntini. But McMillan and Fleming managed to somehow add on 109 together, but after they fell, New Zealand’s batting collapsed and Ntini took 3 more wickets towards the end to finish the innings with 5 for 31 in his 10 overs. South Africa then went on to win the game and take the crucial lead in the best of 3 finals. In the group game against Pakistan in the Champions Trophy in 2006, South Africa were shot out for 213 in their first innings. Proteas had to bowl extraordinarily well to win the game against the team which had the likes of Younis Khan, Mohammad Yousuf, Shoaib Malik etc in their batting order, and Makhaya Ntini did exactly what was needed. He ripped the Pakistani batting order apart and reduced them to 27 for 6 claiming 5 wickets in his first spell. Pakistan was totally on its knees and got all out for just 89. 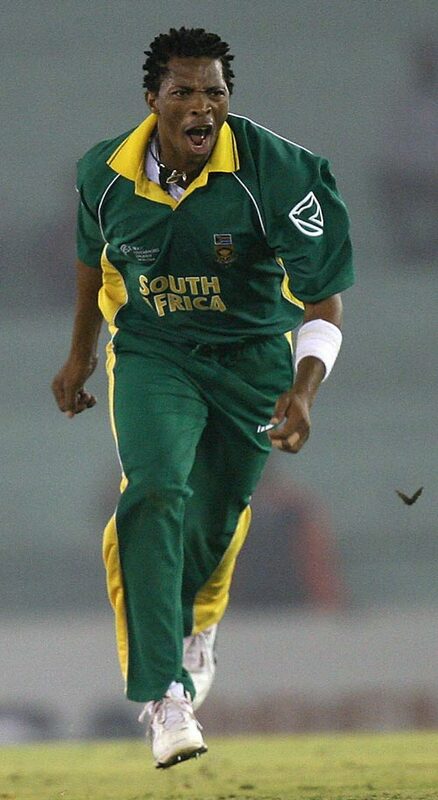 Ntini had figures of 21 for 5 in his 6 overs he bowled. 10 wicket haul at Lord’s to help your team win the match by an innings is always incredible. It was the second Test of a 5 match series. Ntini was bowling with a good line. He destablised the English innings very early sending Trescothick and Vaughan back home. He then also got Flintoff and Stewart to bring England down to just 173. He took 5 wickets for 75 runs. South Africa in reply scored 682 providing a big lead to themselves. Now, the bowlers had to look for wickets in good batting conditions and Ntini was doing the same, though he went for 145 runs in third innings but his 5 wickets helped his team clinch a big victory at Lord’s. This was the second ODI of the iconic 2006 series between Australia and South Africa. They came into the game high on confidence with a 1-0 lead. South Africa were looking to win this game to put Australia under pressure for the rest of the series. They scored 289 in the first innings and presented a tough ask in front of Australia. But Makhaya Ntini made it impossible for the Aussies to chase down this target when he left Australia 4 for 7 in 9.3 overs. Australian were all out for just 93. 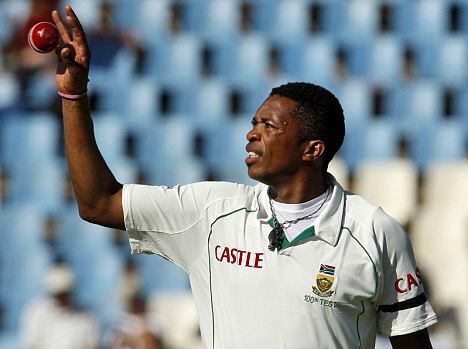 Ntini boasted of roaring figures of 6 for 22 in his 9.3 overs. South Africa were in the Caribbean islands in 2005. The first Test of the series finished in a draw. The second match started on a very unpredictable track amid few controversies. But once the game started, it was all about some fantastic cricket. Makhaya Ntini was bowling with a consistent line and length and was pushing himself in. He took 6 wickets in the innings and West Indies ended up with 347 in their first innings, the only stand out perfromance for WI was from Lara, who scored 196 in his classical style. But it was a hard fought battle between Ntini and Lara. South Africa took a marginal lead of 50 runs and when WI came out to bat in the third innings, Makhaya Ntini was ruthless with the ball. He took 7 wickets for just 37 runs. He cleaned up the lower middle order and tail in just no time to let SA chase an easy target of 144.